The PowerValue 11LI Up and PowerValue 11LI Pro deliver top-quality protection and automatic voltage correction for lower-power operations. 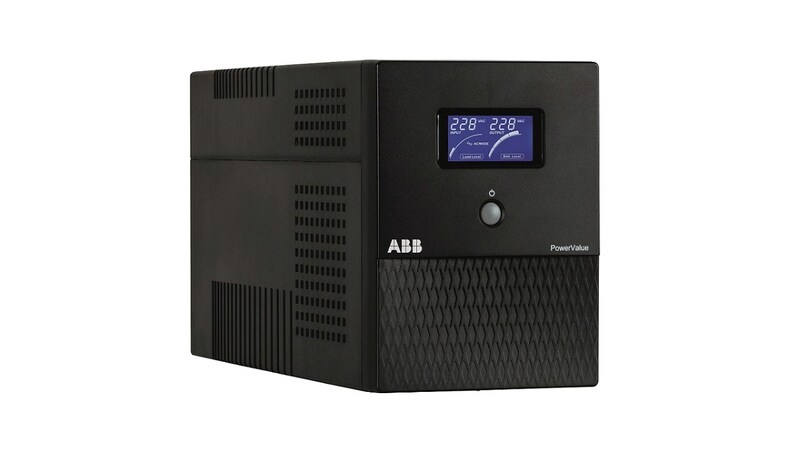 ABB, the pioneering technology leader, has launched two new UPS products: The PowerValue 11LI Up and the PowerValue 11LI Pro. For both UPSs, ABB’s design, technology and quality experience in high-end UPS engineering has been applied to create products that offer full protection and peace of mind by ensuring the connected equipment always sees a clean, regulated and reliable voltage. Intended for users with lower power requirements, the line-interactive PowerValue 11LI Up is the ideal UPS for modest IT applications. On the other hand, the PowerValue 11LI Pro is the perfect candidate for entry-level network applications, such as server rooms in offices, network cabinets, workstation clusters, domestic networks, point-of-sale, network-attached data storage arrays and similar-sized situations. Both UPSs intervene within 2 to 6 ms to provide power when the grid is lost, but their technology goes far beyond ensuring power availability. These UPSs also improve power stability and quality, filtering out such input power disturbances as surges, line noise or harmonics. If the input power factor starts to vary, advanced protection software will automatically correct it. Beyond their automated features, the two new devices are exceptionally simple to manage and maintain. A plug-and-play approach and an intuitive LCD interface make operation effortless, while the easy-to-replace, internal enhanced-runtime batteries are designed to give stable, low-maintenance performance over many years of service. A comprehensive battery management suite and fan cooling ensure that batteries are not overloaded and that they do not overcharge, discharge too deeply or overheat. An integrated cold-start feature allows the UPSs to start up by themselves, when needed. Both the PowerValue 11LI Up and PowerValue 11LI Pro are available in models that span the 600 to 2,000 VA range.